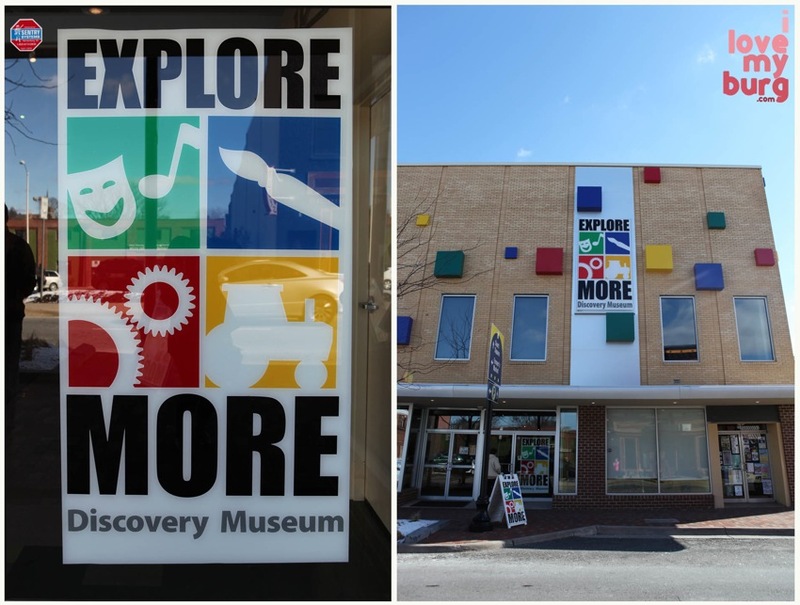 play by play: explore more children’s museum. | i love my burg. 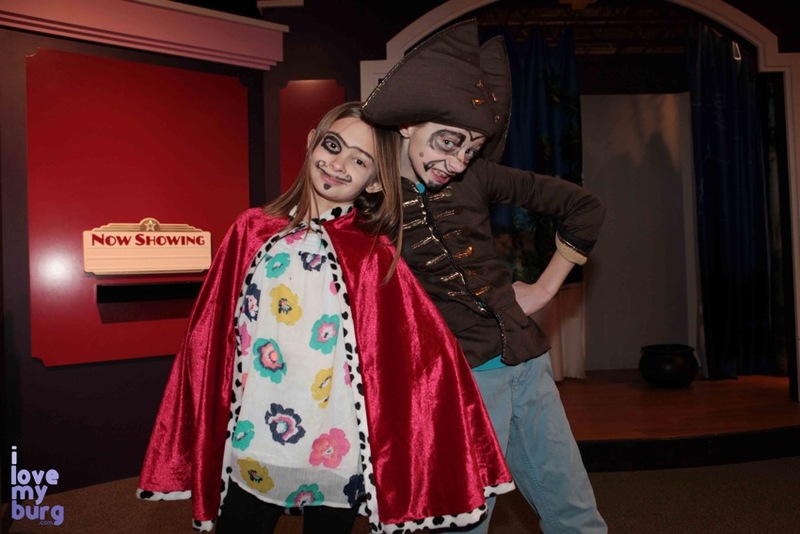 play by play: explore more children’s museum. Ah, the Explore More Discovery Museum. That place to go when your kids’ energy waaaaay exceeds your own. That place where, Tuesdays through Saturdays from 9:30 to 5pm, your kids can laugh, learn, and make noise. Where you can meet up with your other parent friends and their kids for an epic play date or a super-cool birthday party. Where kids can enjoy classes and exhibits and demonstrations not offered anywhere else. Where friendly volunteers will clean up so your own house can stay a little neater for a few hours. And where run-down parents can grab a cup of coffee (yes, coffee!) and find a place to sit while their kids have at it. Brandy and I took the four kids there a few weeks back. We’ve been going there for a long time — since the old Children’s Museum. Remember that one? It was next to the TV3 station. I loved the openness of it and the raised theater area in the back. In some ways, and maybe only because I remember how little and cute my kids were during that time, I miss that old place. But then the museum moved to its current location, next to the Massanutten Regional Library, and I must say I’ve grown to love its new incarnation even more. The lobby is spacious and holds a beautiful round reception desk. 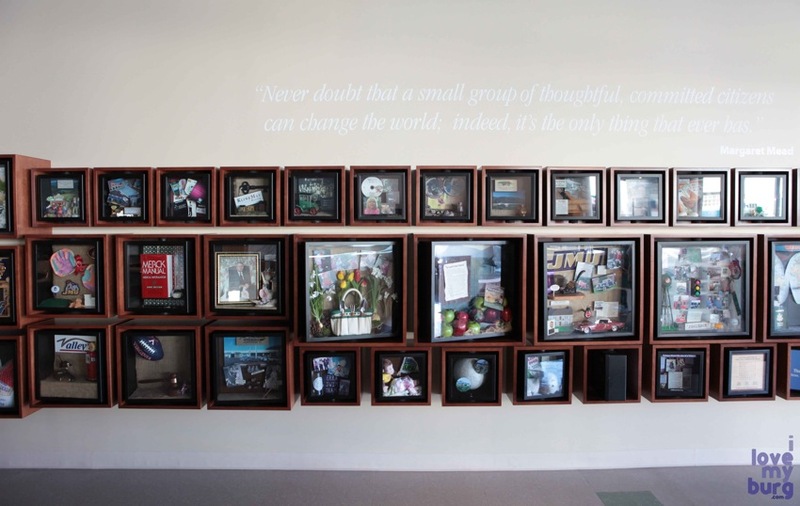 To the right are displays that represent the many generous donors who’ve contributed to the exhibits. To the left is a large gift shop with lots of unusual and special toys. And straight ahead is that lovely tree that lights up at night. You can play customer and mechanic in the Super Service Center. 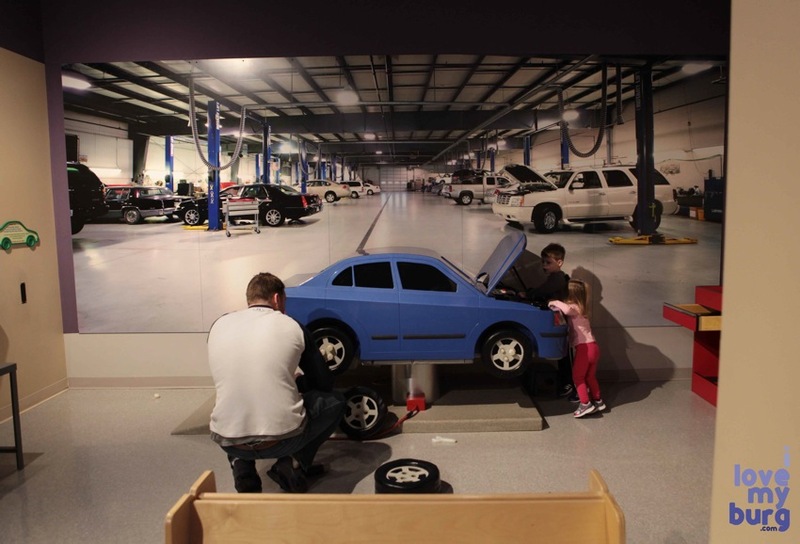 This simulated mechanic’s garage features a cute blue car, on which you can change the tires and oil, replace the muffler, and check tire pressure. There’s also a service desk with a phone and an appointment schedule. Or how about playing shopper and cashier in the Farmer’s Market? This dream of a market features lots of fruit and veggies that are always in season, never spoil, and don’t bruise when you drop them on the floor. You can even weigh your purchases, then take them to CK’s Kitchen and prepare a yummy meal. I must say, I love that kitchen and feel compelled to straighten it up every time I’m in there. I love the little velcro cookies and the play cookware, all against the backdrop of a gorgeous, very real kitchen with beautiful wooden cabinets and a nice table. You can milk a cow with your kid at Down on the Farm. She even moos! There’s a real tractor and a big red barn with a slide! And this cute chicken display with eggs. If you’ve got little ones who are still a little shaky on their little legs, you can visit Over the Meadow, a special fenced-in area for visitors 3 and under with toys and activities just their size. You and your youngster can put on a puppet show in the Great Outdoors section, especially since you’ve got at least four arms available. Just behind it are picnic tables and snack machines when you all need a pick-me-up. One of my favorite areas is the Science Lab. 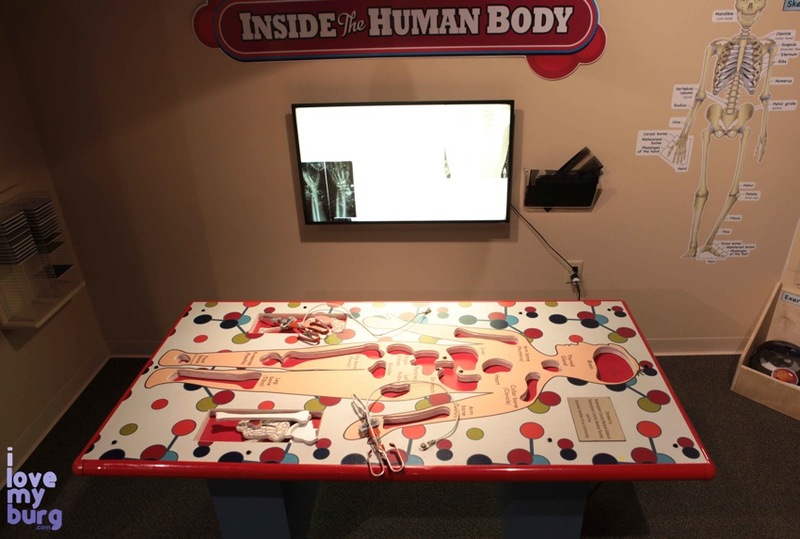 Here you can look at all sorts of things under real microscopes, examine lots of animal specimens, and solve scientific puzzles. Across the way is the Friendly City TV Studio. You and your child can co-anchor the news and see yourselves on the TV. You can even do the weather in front of a green screen! You could let your kid operate on you in the Friendly City Health Center. This exhibit is pretty impressive with its real-life ambulance — the lights flash and everything — and real medical equipment, like crutches and knee braces. And, there’s that giant life-size version of Operation, where instead of tiny tweezers, you use these giant tongs to remove life-size bones from the patient. And you can even race each other on two stationary bikes attached to a map that lights up to show how far you’ve pedaled. You can entomb your child in foam blocks in the Construction Zone and then let him kick them down. Blake and Cal spent most of their visit in this area, building and knocking down and building again. They also have those really cool Keva blocks and a marble maze toy. And finally, if you’re still not completely wiped out, you can dress up, paint each other’s faces, and put on a show in the Virginia Theater. The girls, including Brandy and me because the theater seats are super-comfy, spent a lot of time here. This exhibit has a ticket booth with money, a large makeup area with several stools and mirrors, a stage with multiple backgrounds kids can easily change because they slide on a rod like a shower curtain, a backstage area with tons of costumes, and a light and sound booth that really works. There’s a spotlight and sound effects and different tints of lights… there’s enough to do that every kid has a role. And, if you’re not totally exhausted and brain-fried after all that, you can sit down and play a nice game of oversized chess. There are other little things here and there, too, like Rosie the Tarantula (yes!) and a mailbox, and more. And good news on the horizon! The Museum is very close to expanding to the second floor! I’m especially excited about this because the second floor will feature some areas designed for older kids. Now would be a great time to get a membership and make a donation if you can. Without the membership, you’re still welcome at the Museum for $6 per person. But with family memberships starting at just $95 a year, why not just join? You’ll also get access to their drop-in programs throughout the week and discounts on classes and birthday parties. For about $30 more, you can get a reciprocal membership that will get you a 50% discount at more than 200 other children’s museums in the US. You could spend the summer visiting a different Museum each week for very little cost! There are other memberships, too, for different types of families and grandparents. If you’re still on the fence, you can visit the Museum for FREE on First Fridays downtown — the next one is in one week — March 7. I’m not sure what I would do without that place. It’s been my rainy day, snowy day, sunny day, cranky day go-to for years and years… and when I worry that my kids might “outgrow it,” I remember that I’m 41 and I still haven’t outgrown anything in that place! When you see me in there this Saturday, please say hi! I’ll be that weird lady picking the glue bottles. 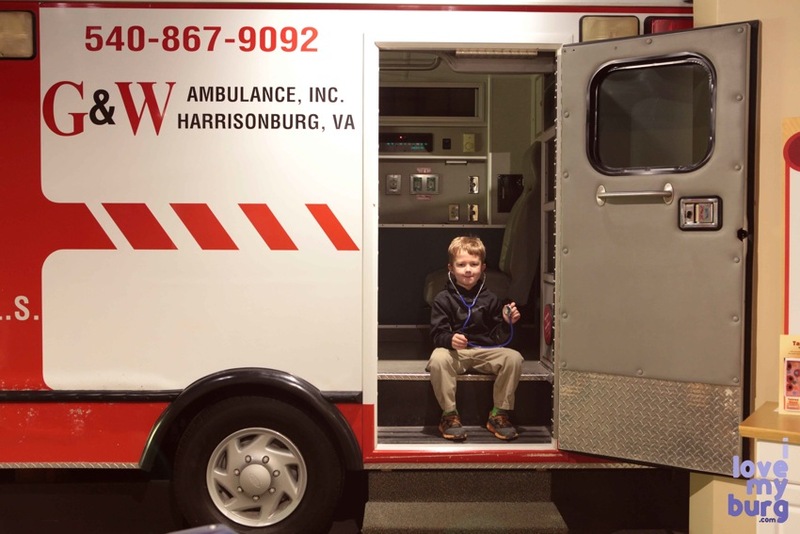 This entry was posted in kids, retail and tagged Brandy Somers, Explore More Children's Museum, Harrisonburg Virginia, Katie Mitchell by junebug. Bookmark the permalink. Wow…..love this post!! EMDM is an amazing space and a priceless addition to downtown Harrisonburg! Thanks for featuring it! It’s also an amazing place to volunteer! I love Explore More! awww, I bet it is! The next time that you visit do discover the Where in the World Exhibit which is a unique collection of children’s books from around the world. There are over one hundred books in this community collection representing forty countries. 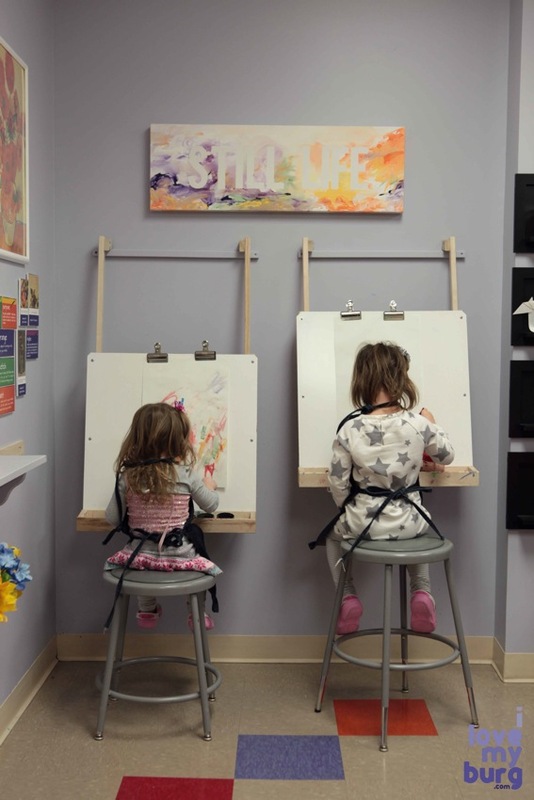 The concept behind the exhibit is to celebrate and highlight the many diverse cultures that comprise the Harrisonburg community and to bring focus to childhood literacy. It may well be unique among children’s museums. Lisa Shull of EM can share more information. Thanks for the info, Fred!